Here’s what September has in store for all of you ani-maniacs out there! Don’t be scared if this year flies by as quick as a Rat, there’s a fine piece of cheddar cheese to top it off towards the end. Stay optimistic and get yourself on the right track by saving some extra spare change, and don’t be afraid to let those creative juices flow. Communication is very important — just squeaking away will leave others with the wrong impression. This year, Oxen should be low-key and stick to their grazing ground. The Ox doesn’t really go well with Dogs, so drama isn’t on the itinerary this year, and that definitely shouldn’t stop you from pulling your own weight. Walk (or stomp) to your own pace. Don’t let others freeload off your hard work. This year will be a wild ride for Tigers, but that doesn’t mean it’ll be smooth. Buckle your seatbelts and make sure you have a Pig by your side. You have a lot of bundled-up emotions that you’ll release in the form of a roar. Have the eye of the Tiger, and jump at every opportunity (whether it’s a daring adventure reserved for champions or a brand-new aesthetic.) Keep in mind the effects of your actions in the long run, or you’ll miss out on the adrenaline rush. You’re carrying a (metaphorical) rabbit’s foot this year, lucky you! Rabbits and Dogs are good buddies because of your attractive auras, so you’re a hop, skip, and a jump away from making this the best year of your life. It’s easy for people to underestimate you as a fluffy bunny; don’t worry about what other people say, though, really, you shouldn’t carrot all. This year you’ll be breathing fire, like, inhaling it. The year of the Dog will not sit well for the mighty Dragon. Advocacy is key this year: focus on messages you want to spread, but stay realistic because not everyone can be the mighty King of Animals and keep up. Hold a Rooster to keep you on guard. This year will be hiss-terical for you, so don’t get yourself caught up in a tangle. Unplug yourself from all current drama, whether it means you stop comparing yourself to others, or just avoiding a Pig. Take a few steps back from the glamorous, fast-paced life, to appreciate the classics and simple things, like late night talks with your bestie and or the nostalgic childhood TV show. “You can lead a horse to water but you can’t make it drink.” That’s the year of the Dog for Horses. You’ll have a lot of energy this year, so channel it into things that you already have. There’ll also be new opportunities and people along the neigh to help you out, but it’ll be subtle and even hard to take. Accept all these with an open mind: don’t turn the horseshoe upside down. Baa baa black sheep, have you any wool? Yes sir, yes sir, three bags full… of promise and new stuff to do, duh! Sure, the Dog and the Sheep don’t always get along, but this year has good treats in store— whether it’s higher grades in school (if you like that), a brand-new binge-worthy Netflix show, or a special someone that’s got their eye on ewe. Stay woke in the Year of the Dog, because wisdom and intelligence are where your bets at. Challenges will start Donkey Kong-ing in your direction. It’s easy to start going bananas and lose concentration but remember, this year it’s monkey see, not monkey do. Handling these situations like a pro requires logical thinking, but don’t get too cocky because the Roosters are always watching. While it’s your year, it’ll be a little ‘ruff for you. Obstacles like anxiety and pressure will build up along the way, so use this year to focus on keeping it chill and connecting with your natural side. There’s a reason why the dog is called man’s best friend, so remember your loyalty to people you care for, whether it’s your beau, friends, or family. Keep these in mind like a good doggo, and you’re in for a treat. You’ll bring home the bacon this year. You’re ecstatic for the next few months to come, so channel this energy to aim for anything you want in the short-term. Hold a Rabbit close to you as your hype-man. Don’t go telling about your ideas and plans, or you might make someone jealous! Stay grounded this month, but remember it’s always a good idea to let yourself indulge every once in a while. 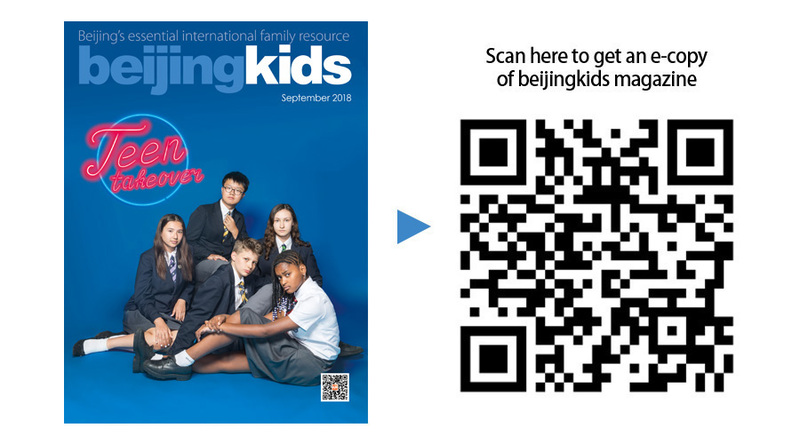 This article appeared on p6-7 of the beijingkids September 2018 Teen Takeover issue.